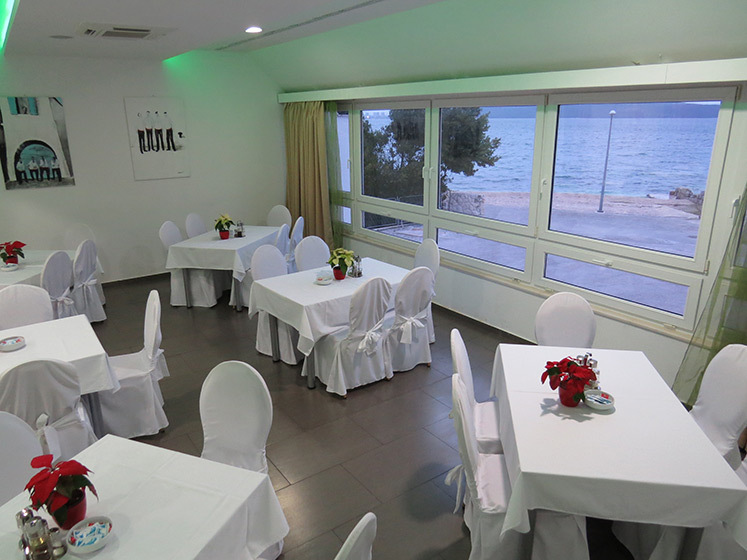 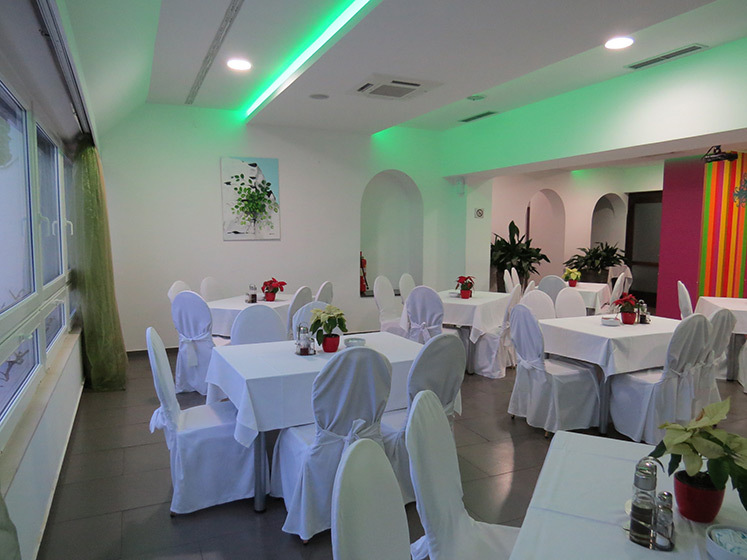 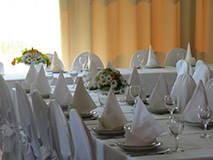 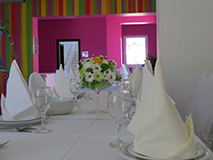 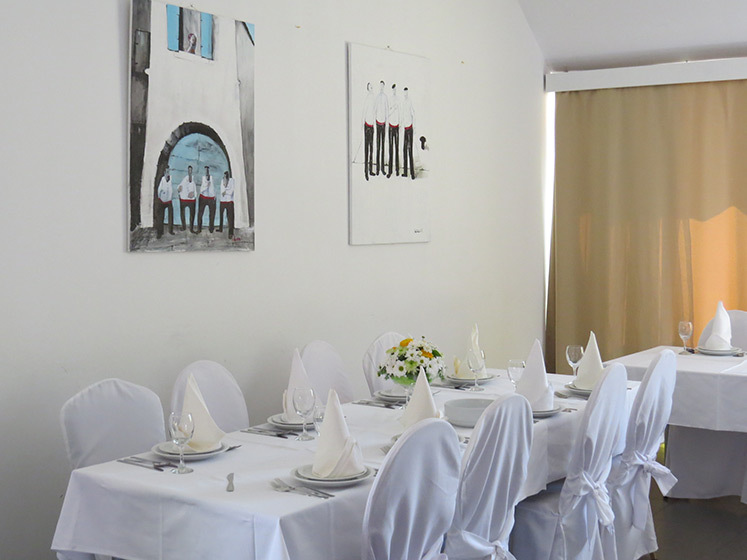 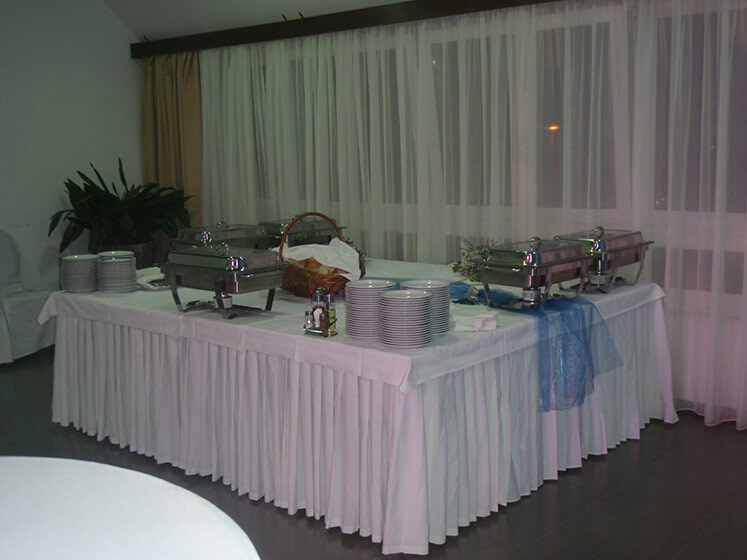 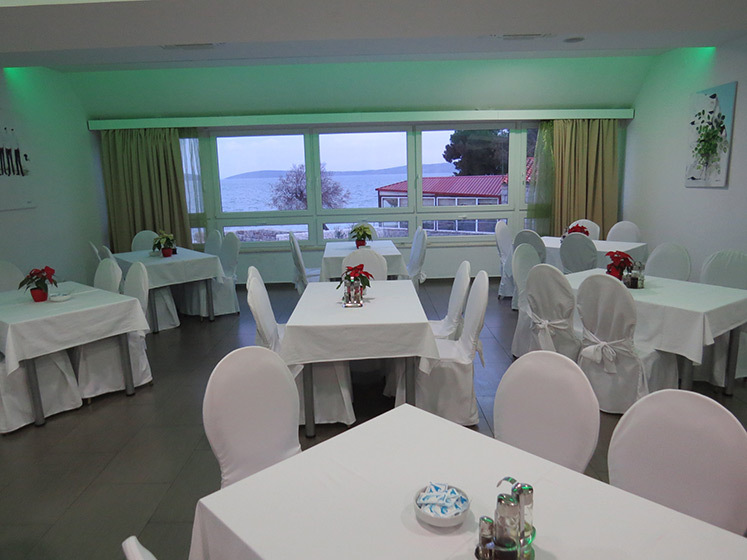 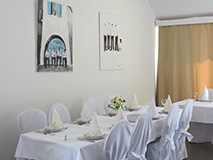 ﻿ A restaurant within hotel Baletna škola. 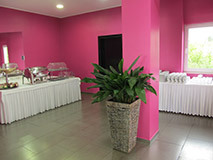 An elegant hotel hall is pleasantly and warmly decorated. 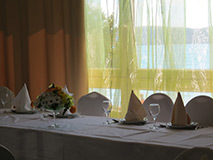 A sea and mountain view make it almost as one with the beatiful nature. 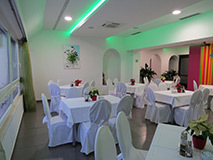 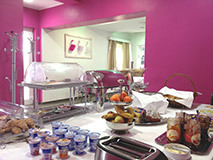 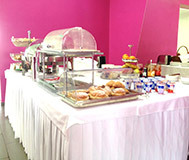 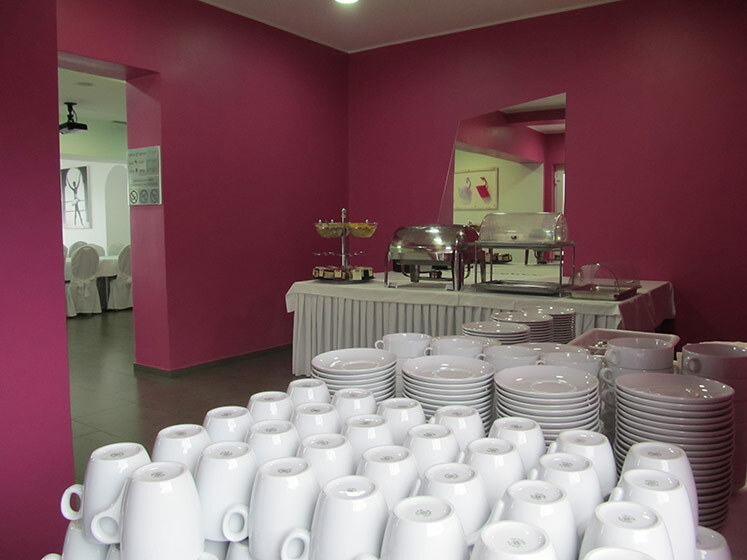 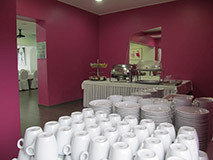 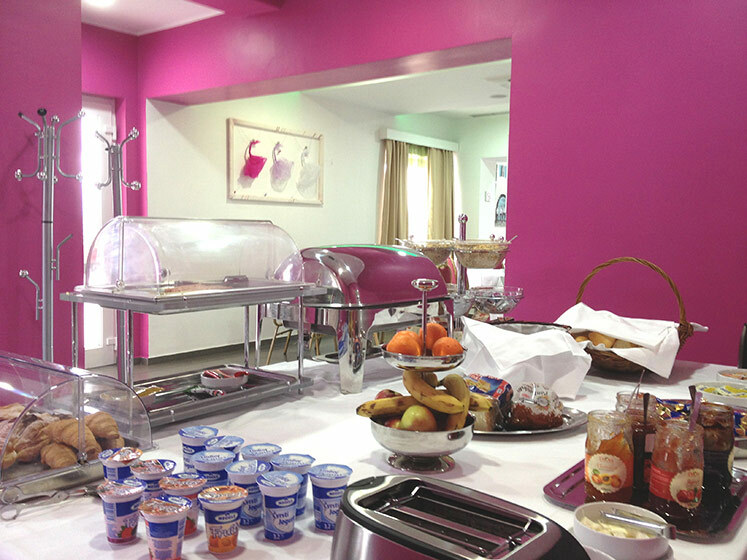 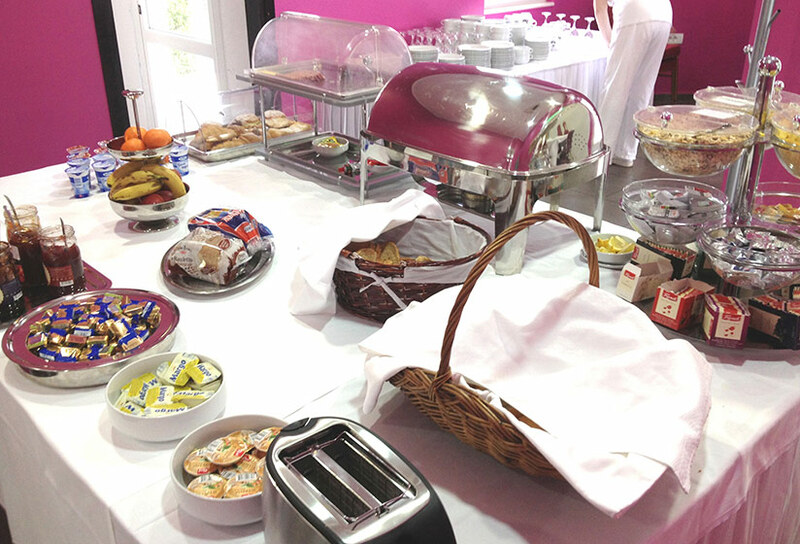 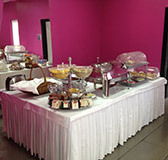 A daylight game makes this room constantly different, providing You an unique experience while having Your breakfast or dinner, or while simply enjoying any kind of celebration that You are to organize right here. 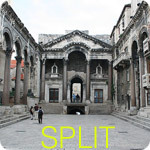 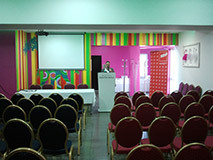 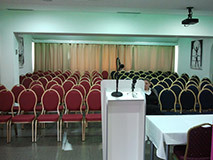 The hall has a capacity of 80 seats. 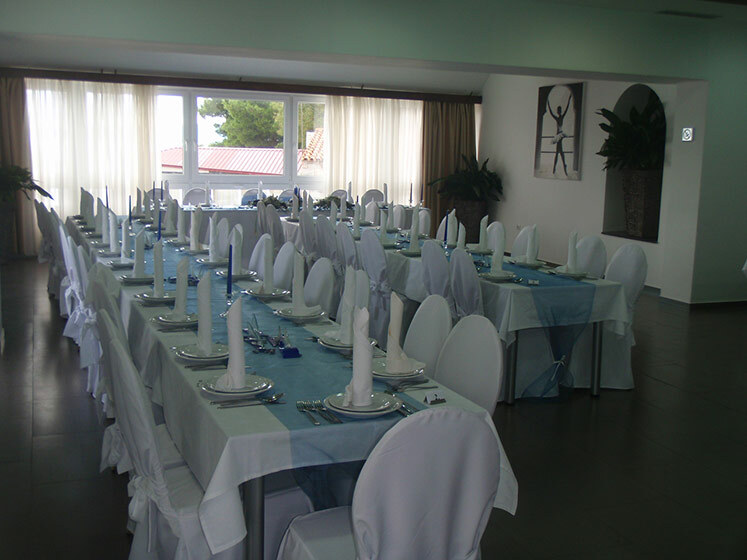 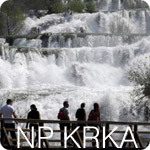 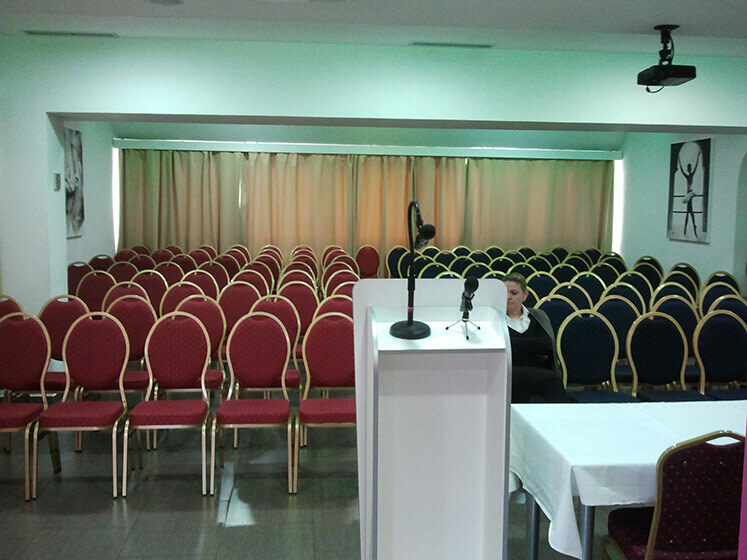 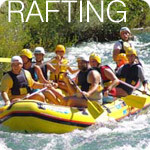 It is an ideal place to organize various events - from a romantic wedding or celebration of various festivals, to organizing business events (meetings, presentations, small seminars and conferences).